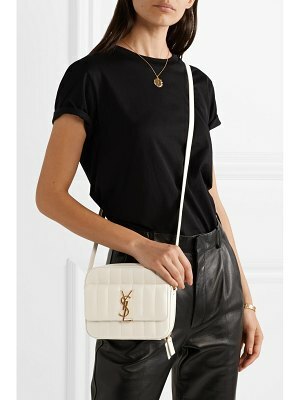 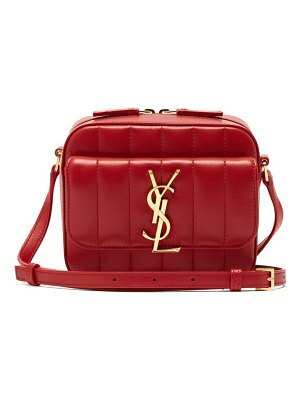 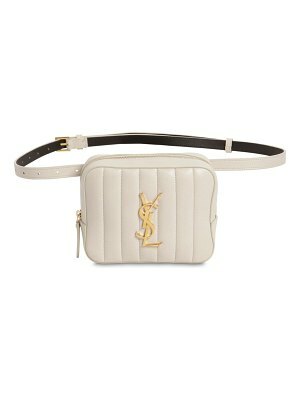 Saint Laurent - Compact and perfectly formed, Saint Laurent's off-white leather Vicky camera bag is stitched with quilted accents for a vintage mood. 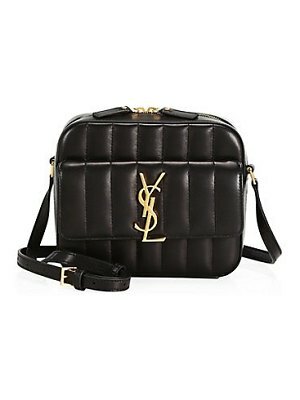 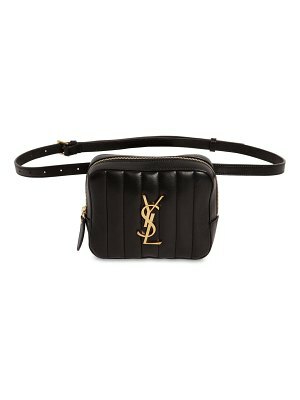 It's Italian-crafted with a polished gold-tone metal YSL monogram plaque on the front flap and opens to reveal a small compartment with four card slots so you can go purse-free. 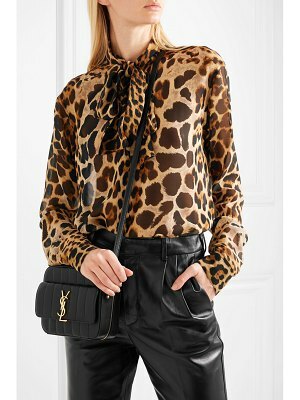 Carry it alongside coordinating tailored separates for the most elegant approach.